Tudor’s first diving watch was the Oyster Prince Submariner reference 7922 making its debut in 1954, offering wearers a reliable and robust waterproof stainless steel watch at a great value proposition. The Tudor Oyster Prince Submariner 7924 surfaced to the scene four years later in 1958, joining the brand’s collection of dive watches. As reliable as Rolex dive watches, yet sold at a lower price point, Tudor was the go-to brand for several Navy Armed Forces, including the French and U.S. Navy. 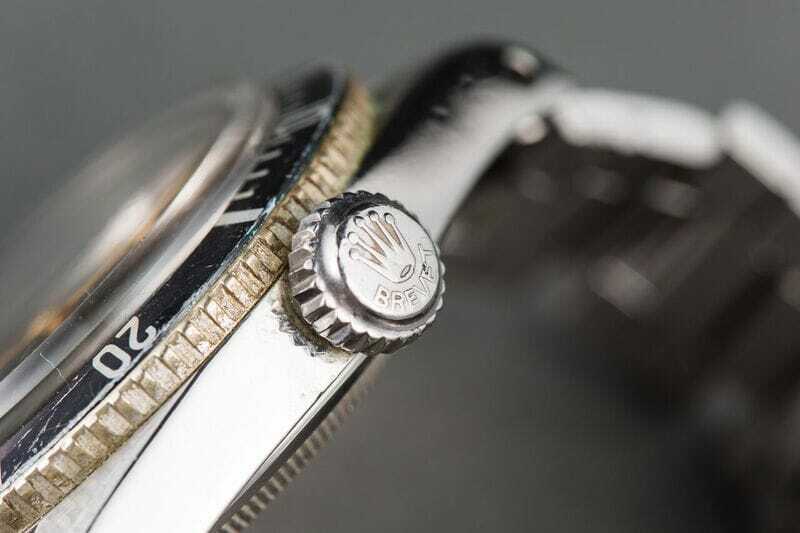 Thanks to its large 8mm “Brevet” screw-down crown with the Rolex logo and lack of crown guards, the Tudor Submariner 7924 is often referred to as a “big crown” model, just like the famous Rolex Submariner 6538, also known as the “James Bond”. Tudor Oyster Prince Submariner 7924 was the go-to brand for the French and the US. Navy. The Tudor Sub ref. 7924 was equipped with several improvements over its predecessors – ref. 7922 and ref. 7923. Its 37mm stainless steel Oyster case was fixed with a domed Plexi crystal that was thicker than the previous models to withstand more underwater pressure. Another big enhancement to the Tudor 7924 was its increased waterproofness – resistant to a depth of 660 feet (200 meters) rather than 330 feet (100 meters). The Tudor Sub watches are outfitted with the iconic stainless steel flat three-piece Rolex Oyster bracelet with the Rolex signature stamp. 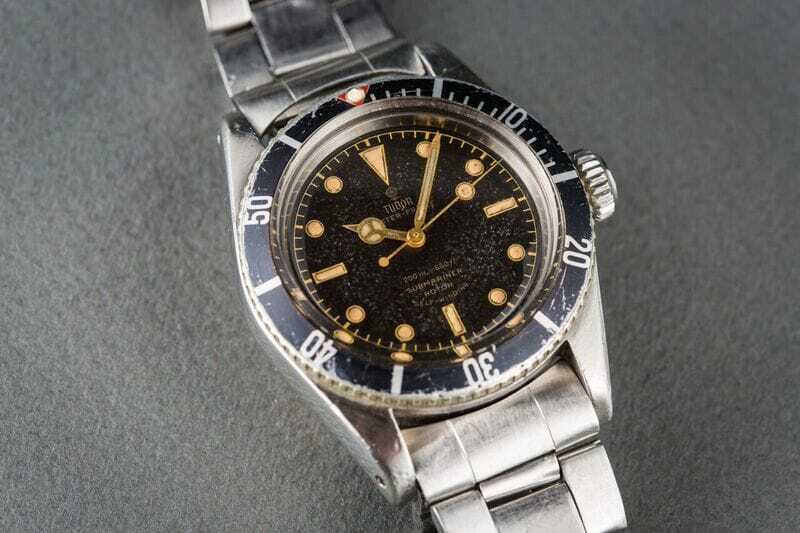 The 37mm size would later be augmented to 39mm in future Tudor Submariner references. Being a dive watch, the 7924 came equipped with all the necessary features to facilitate an underwater journey, such as the unidirectional diver’s bezel calibrated for 60 units. The black dial includes large luminescent hour markers and luminescent Mercedes hands for greater legibility within the darkness of subaquatic environments. The black bezel also included a luminescent dot at the center of the red triangle at the 12 o’clock position. Aesthetically speaking, the Tudor Submariner is very similar to the Rolex Submariner, but at the core of the Tudor 7924 is the 17-jewel Caliber 390 mechanical movement with the Tudor Auto-Prince self-winding rotor – a movement that was created by Rolex for Tudor in the 1950s. Tudor Oyster Prince Submariner 7924 as close similarities to the Rolex Submariner. The first several models of the Tudor Submariner were considered experimental where the brand would revise and redesign the watches in accordance to the feedback they would get from the divers using them. 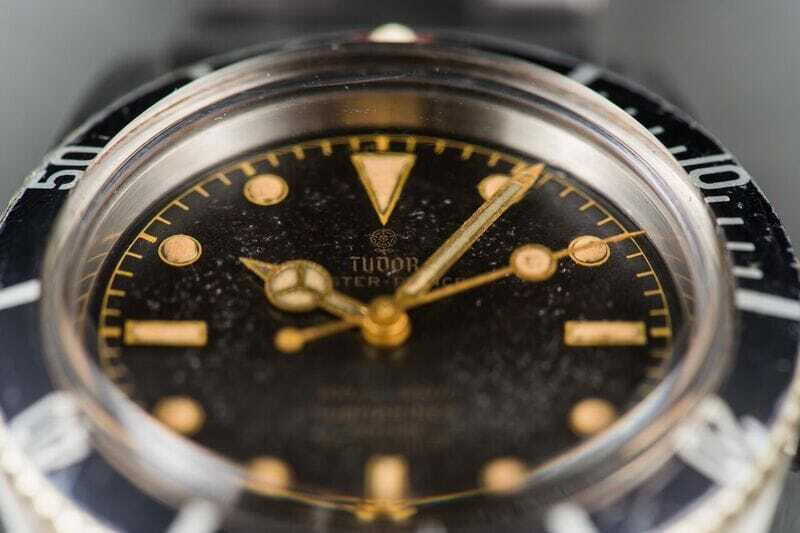 Interestingly, references 7922, 7923, 7924 and 7925 were not even included in the Tudor general catalog. Only the last reference in the 7900 series, ref. 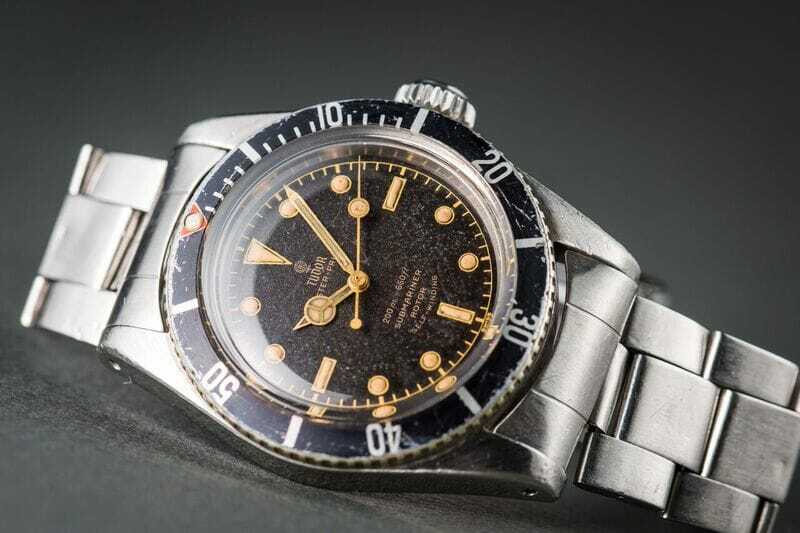 7928, which was launched in 1960, made an appearance in the catalog and actually set many of the design codes of future Tudor Submariner watches. 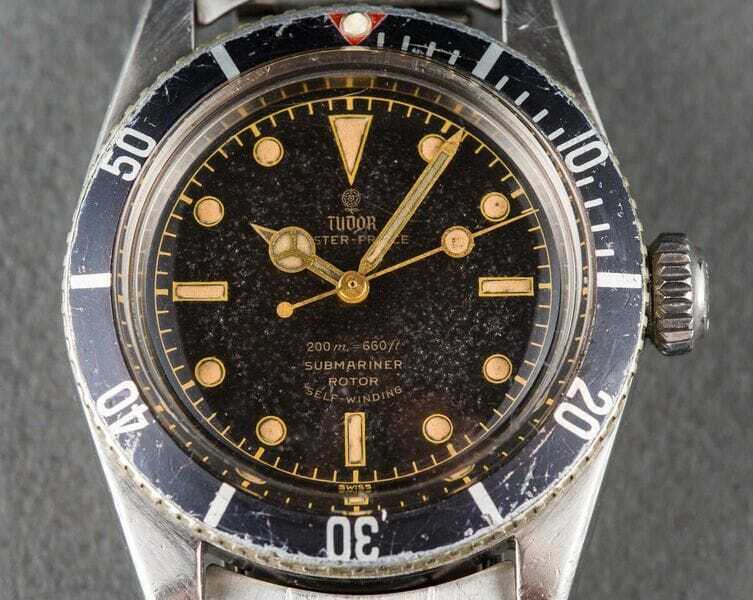 Tudor Oyster Prince Submariner 7924 was launched in the 60’s. In 2014 a Tudor 7924 sold at the Christie’s Important Watches auction in Geneva, Switzerland, for an incredible $35,000 – well over its initial estimate of $8,000 – $10,000, illustrating its popularity among vintage watch collectors. A remarkable dive watch with an interesting 60-year-old history, the Tudor Oyster Prince Submariner 7924 is a standout member of the brand’s archives.